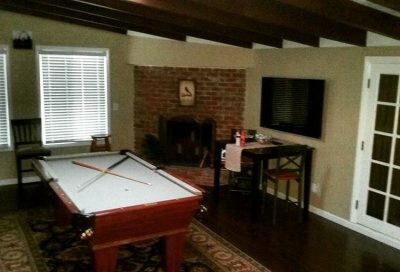 Are you in Huntington Beach or surrounding areas and need your television mounted? We’re here to get the job done! Have you ever watched the Super Bowl at a friend’s house and been impressed by their beautifully wall mounted TV? Have you ever gone into a bar like Duke’s or The Bungalow and been blown away at how in the world they got all those huge TVs up on the walls? Done right, a TV wall mounting can be the coup de grace of an immersive entertainment space. You may be trying to create an awesome entertainment space of your own. You may have recently purchased a TV or are considering buying one soon, and you know you’ll want it mounted. 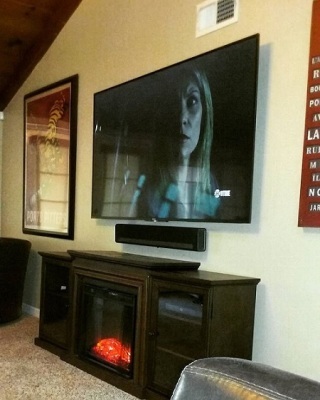 Mounting TVs saves floor space and creates optimal viewing angles. And it looks sleek and luxurious! Fortunately for you, a TV mounting service near you is just an email or phone call away! Coastline TV Installs is THE television mounting service of choice for the Huntington Beach area. Thousands of Huntington Beach residents and business owners have trusted us to install their TVs on wall mounts. In fact, it’s probable that if you frequent a local business or watch television at a friend’s house, you’ve watched a TV we mounted! We’re a locally owned and operated Home Audio/Video Installation company that has fulfilled the TV wall mount installation needs in our community for over 15 years. We are proud to call Huntington Beach home. 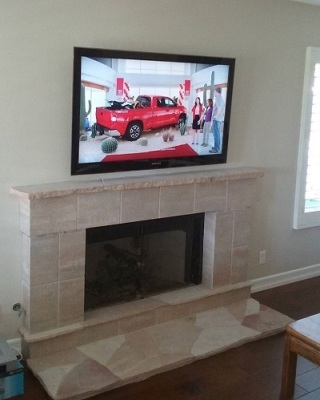 It as an honor for us to service our home community, and we feel great every time one of our customers is able to sit down and be entertained by a TV we mounted. Among the services we offer are Professional TV Installation , Monthly Specials for TV Wall Mount Installation , Surround Sound Speaker Installations , Remote Programming/Consolidation, Expert Wire Concealment/Management, Floating Shelf Consultations, Cord Cutting Solutions, and TV Dismount/Re-Mount Services . Beyond that, we offer Free Onsite Consultations and a 5 Year Workmanship Warranty . Basically, we’ll come out to your house or place of business and give you a quote for free! And on top of that, if our work doesn’t live up to your expectations, we’ll come back out and fix it under our five year warranty. It’s that simple. You can also get in touch anytime using the phone number and/or email address below. If we don’t pickup the phone we’ll get back to you as soon as we can, and we respond to all emails as quickly as possible. If you’d like to see examples of our work, please check out some of our recent TV mounts on our Instagram page. You’ll see that all of our jobs are done with utmost care and maximize the beauty of the entertainment space. "Amazing job guys! They took their time. Answered all my questions and everything looks better than we expected. Matt gave us a fair price for the amount of work they did for us. We had 3 TVs Mounted on the wall. In-Ceiling speakers, 5 of em installed. The wires ran in the attic. TV on the wall with cables hidden. The place looks twice as big now and we can't wait to invite you guys back for a party!"